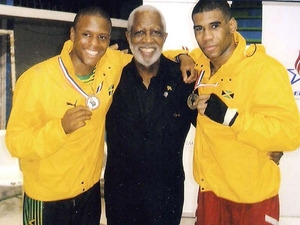 Reece Shagourie, Jamaica's middleweight boxer at the AIBA World Boxing Championships being held in Baku, Azerbaijan, did not make it to the second round of competition last night, as he lost a very close decision to Mexican Juan Mercado 20-19. The contest was as close as the scores show and there were many persons present who disagreed with the decision. It was definitely a contest that could have gone either way, as both boxers had their periods of ascendancy. Shagourie is a fast-moving boxer who uses the ring to good advantage, and he frustrated the hard-charging Mexican time and again in the first round by darting in and out and landing quick flurries. The Mexican kept attacking, however, and had the edge when he landed a hard right to the head near to the end of the round that made the referee give Shagourie a protective eight count. The round ended 8-7 in favour of the Mexican. The Mexican stepped up the attack in the second round, but Shagourie's defensive skills came to the fore and he then shifted from defence to attack seamlessly. He caught the Mexican with a good combination at the halfway mark that hurt him, and it was the Mexican's turn to get an eight count from the referee. He came back on the attack after this, however, and won the round 8-5. Following a pep talk from coach Barrington Graham in the interval, Shagourie came out with blazing fists in the third round and did everything right. He defended well, kept his poise at short range and scored repeatedly with some good flurries to dominate the round. At the bell, it seemed that he had pulled it off, but the final score showed that he had come up just short. He won the round 7-4, but that was just not good enough to give him the victory. He is still eligible to participate in the Pan American Games in Mexico later this month, however, and said afterwards this bout was a real confidence booster for him, going into those games, and that he will be training intensively for the next three weeks.